I usually commute to office via Kannakapura road and then through the Thurahalli range. Once while returning back home, I decided to take a deviation away from my usual route to do a bit of birding. In this route suddenly I saw a couple of lizards and rock agama’s basking in the sun. Their habitat was a group of rocks. I started going there very often and after spotting them, hang around there and try to get some photographs. Every day it would take 10 – 15 minutes for them to get used to my presence after which I could get some happy close up shots. 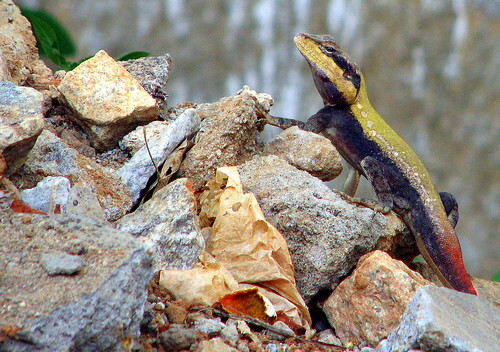 Their colony of rocks was wonderful, there were 3-4 different species of lizards co existing peacefully. After a few weeks here are the published pictures. Sad part has been the two rock agama’s near my house has been run over by speeding vehicles. My heart still feels heavy when I write about them. These guys have just not adapted themselves to the fast life in cities, they bask in the sun in the middle of the road and they cannot run fast like few other creatures and invariably get run over. They are very similar to the American sister group of iguanas. 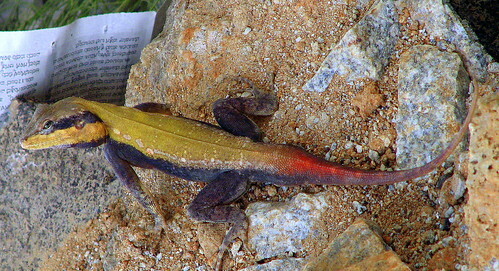 Agamas are active at day. 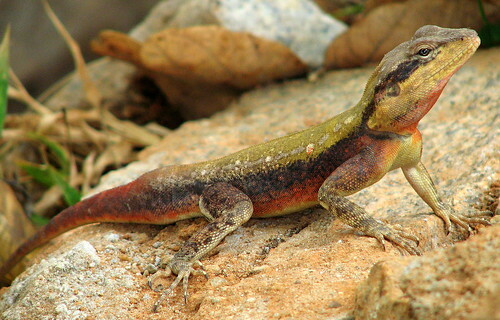 Many species are perfectly adapted to a life in hot deserts, others live in the trees of tropical rainforests.Agamas have well-developed, strong legs. Their tail can't be shed and regenerated like in some other lizard groups. 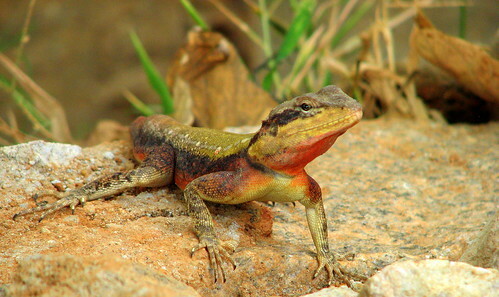 Some agama species are able to change their colors.Agamas form groups of ten to twenty. The "leader" is an old male, while females and young males constitute the other members of the group. These fighting strokes among males may be very violent and often result in hematomas or fractured jaws. A few weeks of observation.